A Concise Edition with clear connections, comparisons, and sources in every chapter. 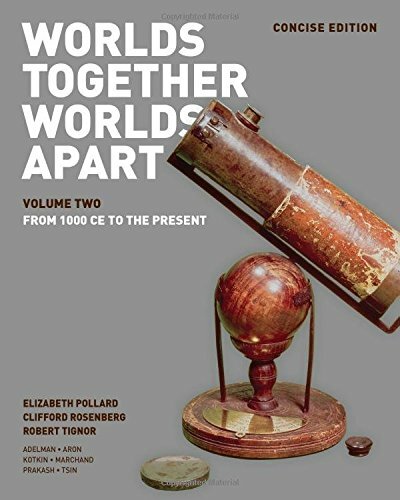 The most globally integrated book in its field, Worlds Together, Worlds Apart is now available in a Concise Edition. Drawing even clearer connections and comparisons across time and place, this re-imagined text and companion adaptive learning program provide a wealth of new tools that will enhance reading comprehension and develop fundamental critical thinking and history skills.